I can hear many of you saying “why are you still covering this Dave?” and this will be my last Washington Senators article for a while. When I started this project, I had no idea it would balloon the way that it did. I’ve found more layers to this story than I ever could have predicted. This article was a direct result of these layers. I’ve developed a theory of why they were designed they way that they were, and their design origins…but more on that later. I was recently contacted by a seller who was able to get the numeral off Albie Pearson’s road uniform from his 1958 rookie season. 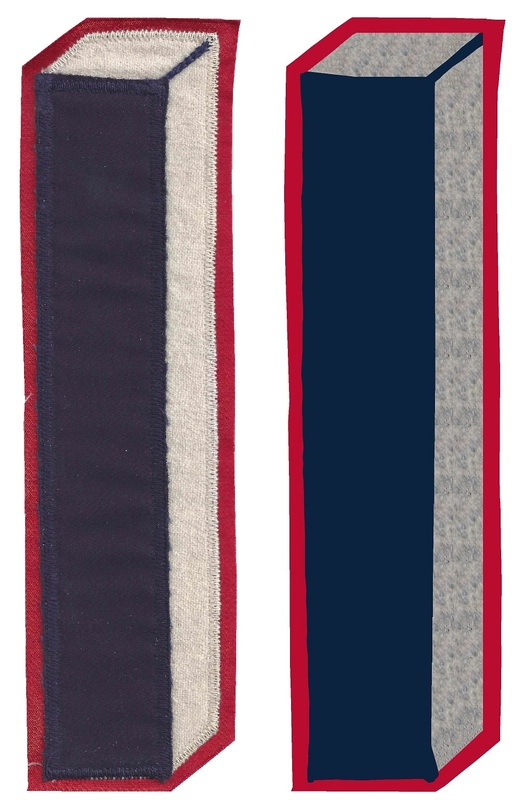 As you can see, it looks like a generic two-tone number used by the Cardinals or Braves. The home number is an intricately designed number, with aspects never seen before or since. 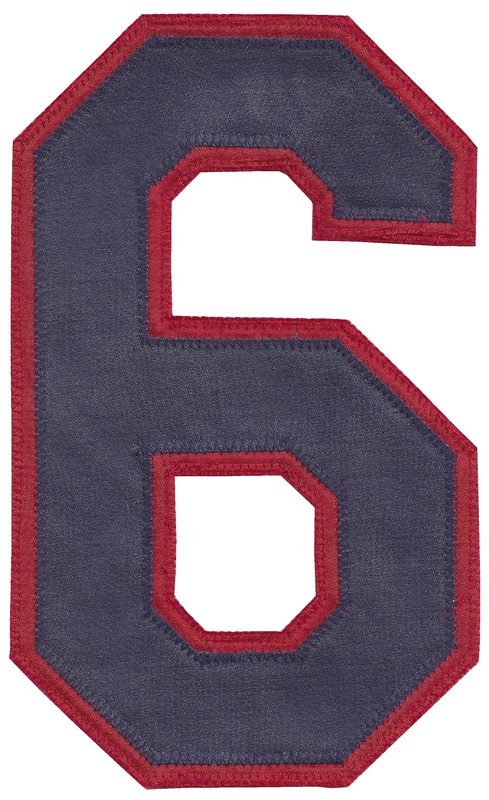 Whereas the road numeral looks like something that one would be able to buy for a little league, or softball uniform. This was something I could not understand in terms of design. 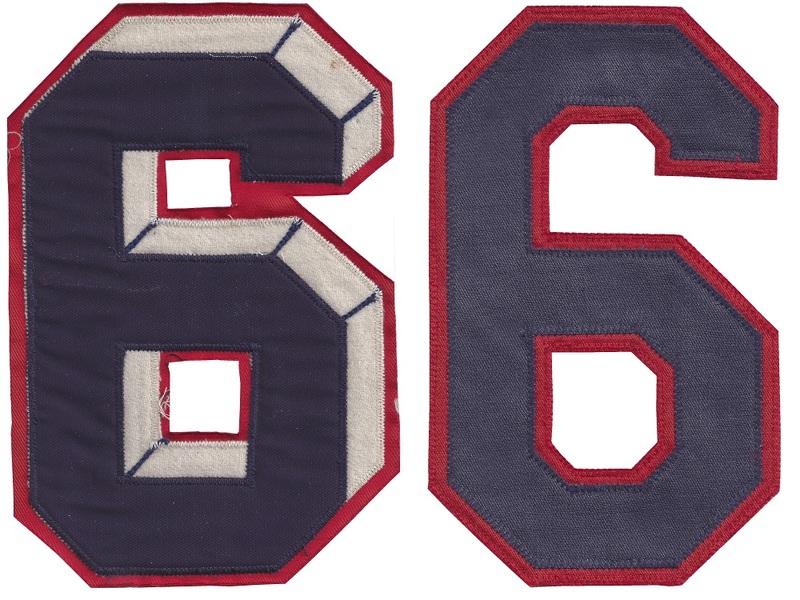 Normally, when a uniform is designed, the home and road numbers are similar to each other. In this case, they are the polar opposite of each other. When compared side by side, they look like they are from two different uniforms. I took the Eddie Yost number, and made a mock up of the design with the gray multi-colored flannel design. Not a bad looking number, but why would there be a revolutionary design like that on a home uniform, and nothing new for the road uniform. The road uniform they were wearing at the time was created in 1955, a year before the 3D uniforms were introduced. It makes sense, why would you redesign a uniform that was already recently redesigned? But it also does not explain why no effort was made to add some design to the road uniforms. I was trying to figure this out, and something dawned on me. Maybe this design wasn’t supposed to be a primary uniform, but instead meant to be an alternate uniform. The more I think about it, the more sense it makes. The 3D was meant to be worn at home for certain games, and then for other games, they would wear their regular uniforms. Back in the 50’s, the merch machine was not as in production as it is today, and alternates were not as common as they are today, but not unheard of. Fans were buying merchandise, but didn’t buy jerseys they way they do today. So it wasn’t made to sell replica jerseys, so we can eliminate that as a reason. The Washington Senators had some alternates in their history. They had home alternates in 1910, 1924, and 1942. While alternate uniforms were used, they were not common in the 1950’s. Calvin Griffith, then owner of the Senators had just taken over from his father Clark, and it can be argued that Calvin was dealing with new competition. The St. Louis Browns had moved to Baltimore in 1954, and attendance at Senators games was down. Griffith Stadium in Washington was old, the Senators were, for the most part, a spent force, and the team had a negative image. Clark Griffith was a segregationist, and the Jim Crow laws applied to Griffith Stadium. Toward the end of the 1950’s, this was more of a liability than an asset. My theory is that Clark had to find a way to boost attendance, and he wanted the Senators to have new uniforms to help that. He took an alternate design for a home uniform, made it into the primary home design, to give the Senators a futuristic look. The first era of 3D films was nearing its end, and Clark must have seen that they brought people in. It didn’t last long, only 3 seasons, and in 1959, it became clear that the Senators were heading for greener pastures, this pasture being in Minnesota, where they have remained ever since. This is one of the most attractive uniform designs ever created, and the fact that it died less than 3 seasons after it was unleashed is a tragedy. The fact that this design isn’t seen as much on replica designs, or throwbacks is even more of a tragedy. This research project has been a labor of love, but for the time being, I have to move on to other projects. I don’t think that this will be the last I do on the subject, but it is for now.